Something special happens when women come together on retreat. There is a depth of connection, a meeting of hearts and minds. 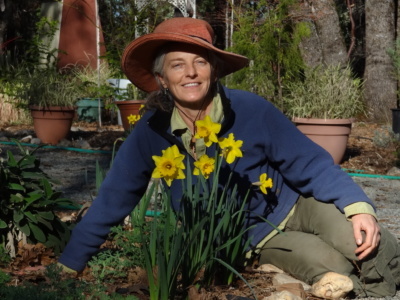 In addition to yoga and meditation, the Women’s Retreat features a Creative Arts Workshop for a relaxing and fun way to connect with your spirit. Nurturing meals plus ample time for rest and reflection, along with thoughtful instruction in yoga and meditation will give you a renewed feeling of energy, clarity and deep inspiration. If you would like a longer stay, there’s a place on the registration form to either add extra nights or come early for a personal retreat or seclusion. The Women’s Retreat is a gift we give ourselves as women living hectic lives in a hectic world. 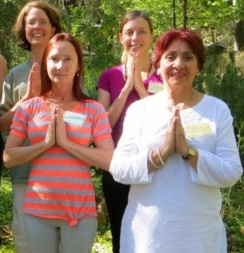 Renewing at Ananda Meditation Retreat in nature, great teachers, beautiful gardens, lovely women and amazing foods. All I had to do was show up. Thank you Ananda. My heart and spirit are full of gratitude. The program was beyond my expectations. Thank you for an amazing weekend.